I am still listening to An Echo in the Bone by Diana Gabaldon, the latest in her Outlander series. I'm 10 or 12 hours into the 46 total hours. I'm loving it still. I could spend hours with Jamie and Claire (and have!). Gabaldon has many plot lines going, and I'm enjoying catching up with all the characters. At some point, I'll probably switch to reading in print so that I can speed to the end. The Tea. I'm drinking Adagio Tea's chocolate chai. A very, very yummy tea: "Chocolate flavored Ceylon black tea blended with cardamom, ginger, cloves, cinnamon. Make it extra rich by preparing with hot milk." I haven't tried it with the milk yet, but even black it makes a wonderful afternoon treat. The Assessment. As I said last week, Claire is British and Jamie is Scottish, so I know they like their tea. Even though Claire has seen the twentieth century, I'm not sure what she'd think of this tea. Jamie would probably be baffled. On the other hand, some tea is probably better than no tea. 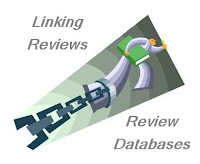 These 3 links lead to an affiliate program; if you buy, I get a small percent. FTC: Source: bought (for all disclosures, see my review policy). Oh my gosh, that tea sounds wonderful!! 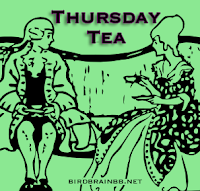 I'm not a tea drinker, but your Thursday Tea posts may just convert me! I like the sound of chocolate chai - haven't heard of that combination. Glad you're enjoying An Echo in the Bone. I think I'd like to try a little of THAT tea! I have yet to start Breath of Snow and Ashes. I think I burned myself out. I am committed, however, to finishing it all. Someday! Also, I have been thinking of reading the Outlander series for a long time, but never got around to it. I think I will look for the first one next time I am visiting the library. A few years ago I purchased a chocolate chai from Wegmans. I usually drink my tea black, but it was good w/ a little milk. Beth - you're the winner of my drawing for PEOPLE OF THE BOOK. Stop by my blog and check your e-mail. While I like chai, I wasn't aware that there was a chocolate version available. Will have to keep an eye out for it, as I normally drink a British Blend. Thanks for the suggestion! Oh, your tea sounds great!